Following The Sugar House, Baba Yaga's two-fisted granddaughter returns! "These were the days when the three Romes had fallen. When the mother of the world had bled, when the Ice Horde had conquered Archangel, when the trees had marched on Muscovy, and when only white-walled Kiev stood against the forest. These were the days when Sasha Witchblood roamed the land, and tread its mud and jewels alike beneath her feet." Sasha, only granddaughter of Baba Yaga, has faced down darkness and been marked by it. In slaying the prophetess Salome, she withered her own body, giving years of her life to escape a witch’s bargain. Now, turning her back on the forests where she was raised, she wanders Europe in search of fortune... and maybe a touch of frightening justice along the way. The Hills of the Dead: Reluctantly helping a young woman seek her dowry, Sasha descends into a nightmare world beneath the mountains... and uncovers the secret of the bleak village above. Stars of the North: After the army she’s following is slaughtered, Sasha must lead the survivors across the frozen sea of Bifrost... and through the fey traps of the frost-giant’s daughter. The Watcher: Wounded by a brigand’s pet demon, Sasha is taken in by a farmer who’s quite taken with her... but who is the brigand, and how can he be slain? The Ice and the Tiger: When the caravan she’s traveling with is attacked by a terrible beast, Sasha must seek out a force as ancient and monstrous as her grandmother... but the price is one she never thought she’d pay. The Uninvited: Under the curse of a wicked boyarina, Sasha is forced to hunt down her most dangerous quarry... the fairest of them all. 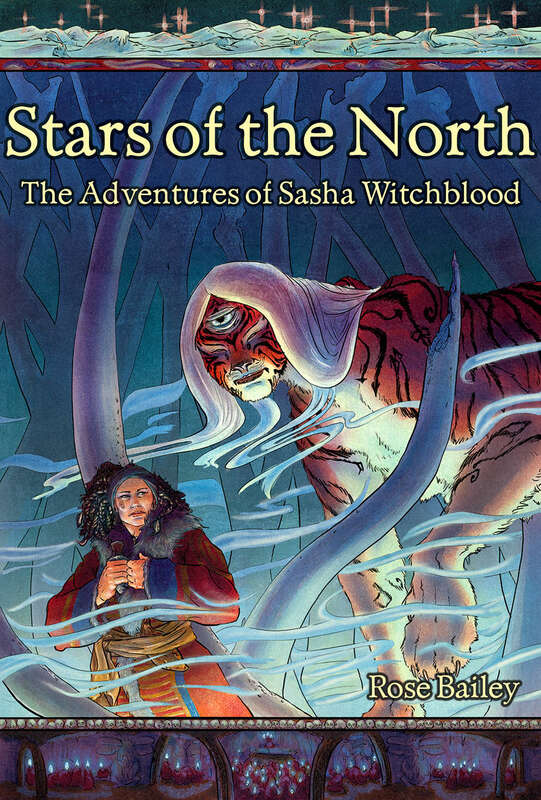 Stars of the North is the second volume in the adventures of Sasha Witchblood, which began in The Sugar House.